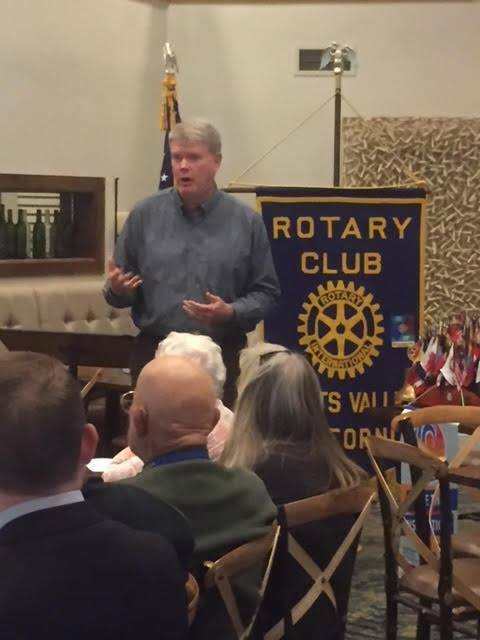 Mark Stone made a very engaging presentation at the Scotts Valley Rotary Club. Starting many discussions that we need to call him back soon! Mark served as Chair of the Assembly Judiciary Committee. Mark Stone is a former Santa Cruz County Supervisor, Trustee of the County of Education, Member of the California Coastal Commission and member of our Club. Congratulations Mark!